When you know how to quieten your mind and slow down inside, life gets easier. 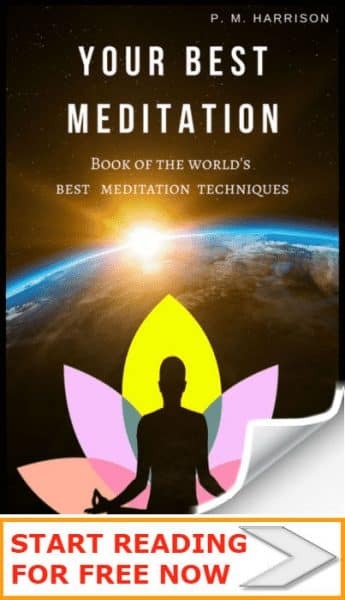 Have you ever wondered why Buddhist monks are peaceful, and why Buddhists meditate to quieten their mind every single day? Because when you spend all day rushing around, getting nothing done productively, you start doing too much thinking and you feel rushed and stressed. Do you ever feel like thoughts are racing through your mind and you don’t know how to become quiet and slow down? 99% of people are blind because they’re rushing through life too fast they can’t slow down inside for long enough to smell the roses. The trick is knowing how to quiet the mind and slow down when you rush through life. When you do that you will have inner peace. Slowing down the mind is one of the keys to actually being satisfied in life . Because when we slow down we finally appreciate the good in the world. It’s something I learned the hard way. When I was 28 I suffered a terrible experience when I was completely broke and homeless. At this time I was rushing through life, feeling stressed, not able to slow down. It was a seriously rough time. At that time my mind felt like a tornado was running through it, tearing it to cinder. I suffered extreme anxiety—actually I was told it was an acute stress reaction . This is a condition which identifies people who are high risk for post traumatic stress disorder after a traumatic event. At times I would have uncontrollable panic attacks. I was close to the edge. I had to make major life changes to pull myself back together again. Stopping anxiety was a challenge. And the key to success was learning how to slow down long enough to quiet my mind of thoughts and worries. And you don’t basically feel like you’re going gaga. Most people feel rushed all the time. But why? I wanted to know the answer to that question so I enquired with several clever Facebook friends and conducted research. The best answer is that people who feel overly rushed are suffering from Excessive time-urgency. So what’s the solution to this time urgency? How do you stop feeling rushed all the time? How do we slow down and have quiet minds? Well, there’s the obvious way: mindfulness. Mindfulness is probably the best way how to quieten your mind and slow down. This is how I started when I was 28, when I was on the bring of total self destruction. I slowed down by forcing myself to always be mindful. I learnt that I could do everything that I needed to do and do it in a mindful way. If I was cleaning the dishes I’d focus on cleaning the dishes and absolutely nothing else would enter my mind until those dishes were looking all sparkly clean. If I was cooking I would do Zen Cooking. If I was walking I would actually stop and enjoy the scenery. I learned to make the most of spare tim with mindful breaks. You can always be mindful. In my experience there is literally nothing that you can’t do mindfully. This is my favorite ways to quieten the mind and slow down. But there are more ways. Let’s take a look at my top 10 tips for slowing down. When I was a kid I thought going fast was the cool thing to do. I wanted to race through everything. I always wanted more and more. Looking back now that I’m a little older and a little wiser, I know the error of my ways. and you simply feel so much more relaxed and happy. This is the most simple but also the most important way to quiet your mind. Just stop rushing down. One of the best ways how to quieten your mind is to use some mindful habits. What’s the point in a life that’s so rushed you don’t get to enjoy anything? Take ten minutes to connect with your five senses. When we rush we lose touch of our senses. Science shows that being mindful of our senses helps to reduce stress and improves life satisfaction. One way to get in touch with your senses is to take up gardening. The beautiful greenery, the scents of the flowers, and the fresh air are all help us slow down. A particularly good exercise is to create a Zen garden. One way to slow down the mind is to stop focusing on results and look at the bigger picture. And the best way to do that is to practice contemplative meditation. Choose a section of verse or a quote, and contemplate its meaning. This will help you to stop thinking about work. It will give you pause. A sound bath is literally as it sounds–it is a meditation in which we are submerged in sound. Try listening to some beautiful music or spiritual chants, and meditate on the sound. Listening to beautiful audio will quiet your thoughts and help your mind slow down. You know that scene in The Karate Kid when Mr Miyagi teaches DanielSon to wash the car by “Wax on, Wax off”. That scene is so much more poignant than I realised when I first saw the movie as a kid. Performing a slow task makes you more mindful. And when we are mindful (consciously living in the moment) we are more relaxed and happier. One strategy is to do chores mindfully. Did you know: chores are a very important part of a Buddhist monk’s life. Monks use chores as meditative practices to slow down the mind and increases consciousness. Buddhists have a practice called “Soji”. It’s a meditative time in which they clean-up. They clean up without a desire to finish. The purpose of the cleaning is in the cleaning itself . Slow, meaningful work quiets the mind and promotes inner peace. That’s why Tai Chi is so beneficial. Tai Chi is all about simple and slow exercises. It’s almost the opposite of exercise actually. Most exercise elevates your heart rate. Tai Chi slows you down and relaxes your mind. Another great exercise to get into is Aikido. Aikido is a peaceful martial art that is about stopping an enemy without hurting them. It’s a meditative martial art that teaches the mind to be peaceful and to slow down. How many times have you imagined horrible things that never actually happened? That’s the basis of anxiety, isn’t it? You think something awful is going to happen but it’s only in your mind. Even positivity warriors do that, if they’re honest. Human evolution has taught us to notice possible dangers before possible opportunities. That stems from the times when we were cavemen, when we had to think “That shadow on the wall could be a T-Rex”. But we don’t live with T-Rex’s anymore. And we don’t need fear like we did millions of years ago. So it is a good idea to use some techniques to stop fear. Every time you think something awful is going to happen, check in with reality. “Is this real?” ask yourself. Nine times out of ten your anxiety will be 99% imagined. Even when there is a justifiable reason for being anxious, you’ll imagine the situation 100 times worse than it really is. Thankfully, today we know how to stop negative thoughts. You don’t need Simon Cowell living in your head. Simon Cowell. Yeah, that guy from the Idol shows who tells everyone they’re rubbish . He’s like a reflection of a judgmental and self critical mind. Or just remind yourself to stop being nasty to yourself. Speak to yourself kindly, lovingly, the way you would speak to your best friends. Practicing Loving Kindness Meditation will help. Our minds have been taught that when we lie down it’s time to relax. So when you do lie down, your brain tries to produce relaxing energy. Sometimes it fails, which is why we’ll lie in bed stressing. Most of the time it succeeds. When we lie down we relax. Try lying down beneath the blue sky and gazing up at the clouds. Nature spreads its beauty for a reason. And I like to think that nature has my back. I’ve shared some great tips on mindfully lying down in my guide to getting to sleep. Hippocrates said “Walking is man’s best medicine”. It is hard to argue. Get out for a lovely long walk. Not on a treadmill. In the beauty of nature. For bonus points, take a Zen Walk. Nine Round Breathing is an ancient Buddhist meditation technique that quickly quiets the mind. This is a very similar technique to Alternative Nostril Breathing. Research shows that 20 minutes spend mindfully breathing will reduce negative thinking and boost relaxation. Take a look at the Dalai Lama’s guide to Nine Round Breathing. 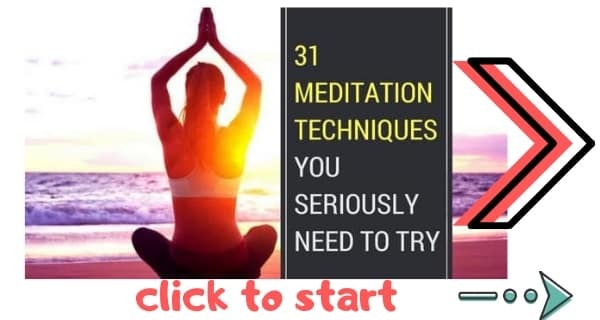 You have probably tried meditating. But have you tried meditating on a Tibetan Singing Bowl? Tibetan Singing Bowls are Buddhist instruments that are an aid in meditation. These bowls create specific frequencies that make the mind enter a relaxing state of theta brainwaves. These are the brainwaves the brain produces when we are in a deep state of relaxation. Twenty minutes spent listening to singing bowl has been shown to put the brain in this state. Mudras are specific hand positions that are used in Hinduism, yoga and Buddhism. By holding the hands and fingers in specific positions we affect the mind and body in different ways. One way to use mudras is just to slow down and to be inwardly still. There is a specific mudra that is particularly good at making the mind slow down: the Apan mudra. A quiet and slow mind is one of the best things for happiness and inner peace. A slow mind let’s us enjoy the moments. It gives us the mental space to live more freely. And it helps both the body and mind to be relaxed and healthy. What are your favorite ways of slowing down and making your mind quiet? Leave a comment and remember to subscribe to our newsletter, and remember to share.